An L.A. legend, Mr. Cartoon grew up doing graffiti and soon became known for combining the aesthetics of SoCal car culture, surf culture, and graffiti art into his bodywork. Also known for bringing prison style tats into the mainstream, Cartoon’s work looks like it could be up on a wall in L.A. or on the cover of an album—because it is. He’s responsible for designing Cypress Hill‘s logo. Doolittle is currently not accepting new appointments until July 1, and it’s easy to see why. His combination of “sacred geometry, modern illustration, pointillism, typography, and traditional Americana” sets him apart from run-of-the-mill inkers. Winter can take any image—large or small—and hone it down to tiny perfection, crafted with detail so precise it looks almost photographic. 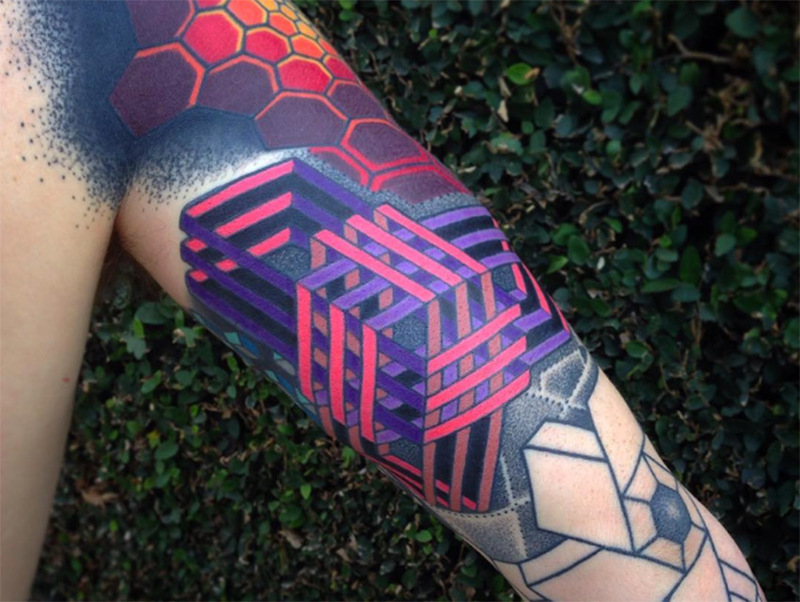 Weaned on the traditional style of tattooing, Wessman is a master of bold color and images executed with a painter’s eye and skill. Shamrock Social Club isn’t one person but rather a shop that employs of some of the most talented tattoo artists in the city. Founded by the legendary Mark Mahoney, who pioneered the single needle style, Shamrock is also home to Dr. Woo, Freddy Negrete and Louie Perez.